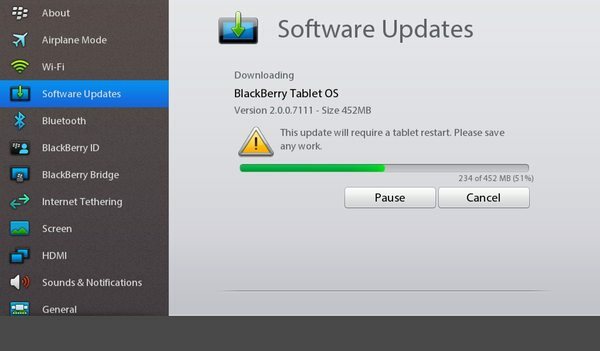 A new BlackBerry PlayBook developer beta is rolling out to users right now. You'll need to re-register your BlackBerry PlayBook in order to get the update but once you do, it's there ready and waiting for you. While we pick through it all, by all means go ahead and drop some comments here in the comments and in the CrackBerry forums if you spot anything new. Keep in mind, this is a developer build and not for the general public -- things are broken and there is dragons ahead. Thanks, @genericscissors!